Many youngsters dream of growing up to be a professional sports star, but for 99.999% of us, our dreams do not come true. There are options however to still be around the sports you love and one of those is to open up a trading card shop. 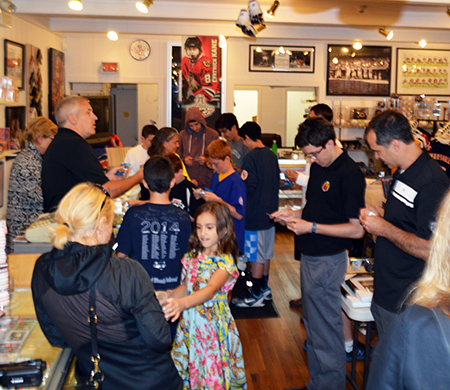 This year Upper Deck asked trading card shop owners to put together a business plan for how they would make National Hockey Card Day a memorable event in their store (as if free NHL® packs to customers were not enough) to share the hobby with as many potential collectors as possible and we were very impressed with the responses we received. For their efforts they earned some awesome promotional items to share with their fans! 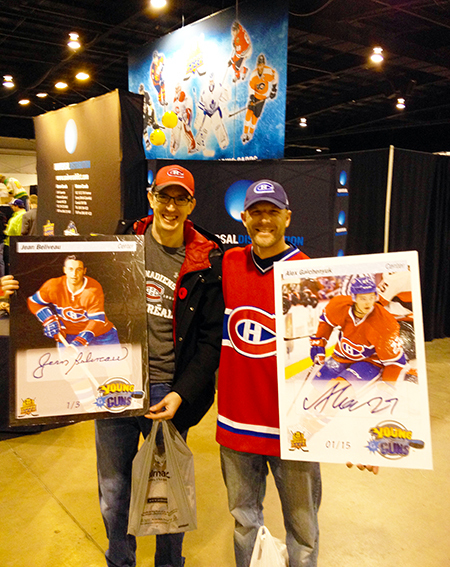 Check out twenty of our favorite unique activities some of our Certified Diamond Dealers have planned for this annual celebration of hockey card love coming February 14, 2015 in Canada and February 21, 2015 in the U.S.A. This is your one chance of the year to get a FREE NHL® pack courtesy of Upper Deck and our partner shops! Grow the Hobby: For every non-customer/collector you bring in you will score a raffle ticket for a grand prize item and the non-customers will get two free National Hockey Card Day packs. Rise & Shine: The first 5 customers to arrive will receive 20% off select Upper Deck Hockey products. Get in the Spirit: Fans wearing team gear will get an extra NHCD pack and raffle ticket for a cool prize. Show some love for the home team and SCORE! 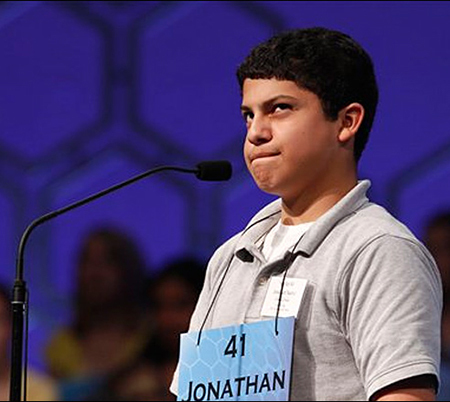 Spelling Bee: Shop will run a spelling contest throughout the day for hockey player names to win prizes. Embracing the Future: Shop will give away prize bags to kids under 13 to encourage them to become collectors. 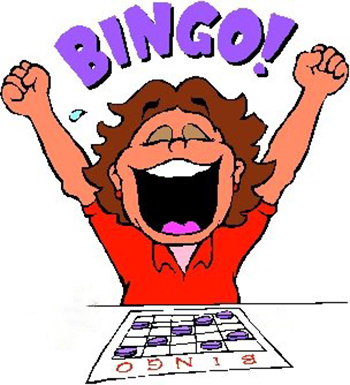 Pack Bingo: One shop created custom bingo cards with slots for actual Upper Deck cards. Cards pulled from packs can be used to fill in those spots. Spot examples are player names and inserts like a 2-color-jersey card, regular memorabilia card, Young Guns Rookie, Canvas card, Autograph card, etc. The first customers to pull all those cards in a row wins! Four Young Guns in a row! BINGO!!! Spin & Win: Spend $20 in Upper Deck Hockey purchases and spin the prize wheel to win UD packs! Balloon Pop: For every $25 you spend in Upper Deck Hockey cards you can pop a balloon in the shop. Inside the balloon is a prize. 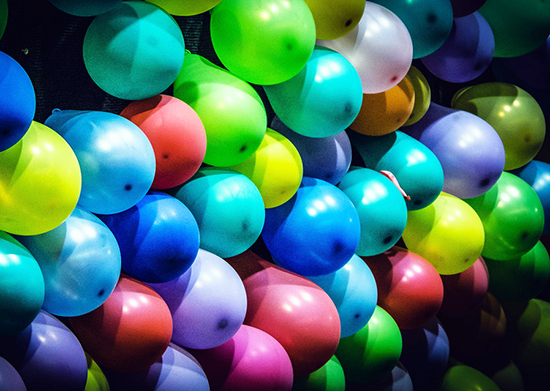 There are several high-end prizes up for grabs and over 100 balloons! Kids Art Contest: Kids draw their own trading cards on decoys and submit them for prizes on National Hockey Card Day. Every kid gets two NHCD packs for participating and can earn more prizes! Kids love drawing their own trading cards using blank decoys. Focus on Family: Have promotions and giveaways catered to entire families that visit. Families that collect together, stay together! Feel the Love: Valentine’s Day Promotion (in Canada) where every girl who comes in will get a Hershey’s Kiss and one will receive a bouquet of flowers. Random Acts of Kindness: Shop will put together hand written letters thanking their best customers for their support and include some goodies selected just for them. The only way they could potentially get them however is if they walk in the door on National Hockey Card Day. They are selecting 25 customers randomly to receive these goodies in appreciation of UD’s 25th Anniversary of NHL® cards. 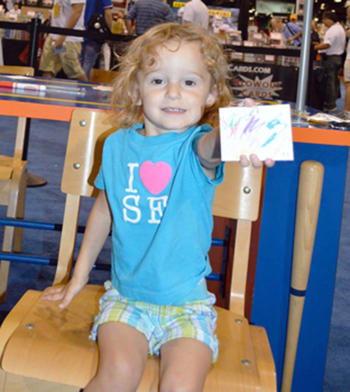 Collector Show & Tell: Seasoned collectors bring in their best cards to share the fun of collecting with new fans. Different collectors show at different times of the day and the schedule is shared through the shop. 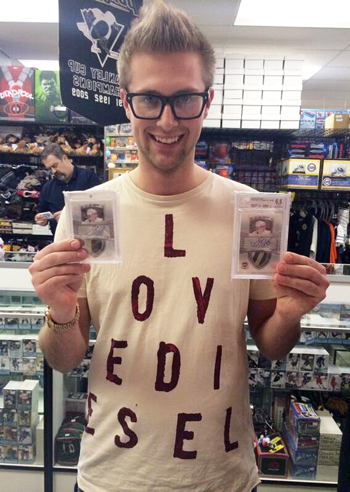 One collector shows off two of his Sidney Crosby autograph patch rookie cards from The Cup valued AT LEAST $20,000 each. Free Appraisals: An expert staff member will be on site to provide appraisals on your hockey cards and the best way to sell, trade or donate them. Bid & Win: Bid board event run on National Hockey Card Day with only Upper Deck Hockey cards! Raffles and Drawings: A variety of these will be held throughout the day for hockey tickets, gear, collectibles and more every hour! Getting the Word Out: Promote the event in person at local arenas, schools, churches, Boy Scout groups, sports bars and more! Meet Your Heroes: Shops are bringing in autograph signers for the event from local teams! Pack Wars: Stores will run free pack war events throughout the day with awesome prizes for fans. Pack Wars are an easy and fun way to get fans to interact with trading cards by offering rewards for pulling cards with key content on them (tallest player, player with the most career goals, etc.). Case Breaks: Shops will run specials on case purchases and have breaks throughout the day where collectors can get in for low prices. With all these activities, you’ll want to make sure you are checking in with all the different participating shops in your area. Find a full list of participating National Hockey Card Day shops here! And if you don’t have a shop near you, remember to check out our participating Authorized Internet Retailers! If you are an Upper Deck Certified Diamond Dealer taking place in National Hockey Card Day, share some of the promotions you will be running in the comment section below! My store, Attack of the Baseball Cards, 60 Milltown Road, Union NJ will be doing several promotions on UD National Hockey Card Day. We will have the National Hockey card packs. We will be doing a find the star player in your pack with a different player each hour. We will have an hourly doorprizes with entries received with pack purchases. We also will have a grab bag with UD hockey memorabilia cards. My store will be open with these specials from 10:30am-6pm on Nat’l Hockey Card Day (Sat. Feb. 21st). Thanks to Upper Deck for providing Hobby stores with this promotion each year!! !